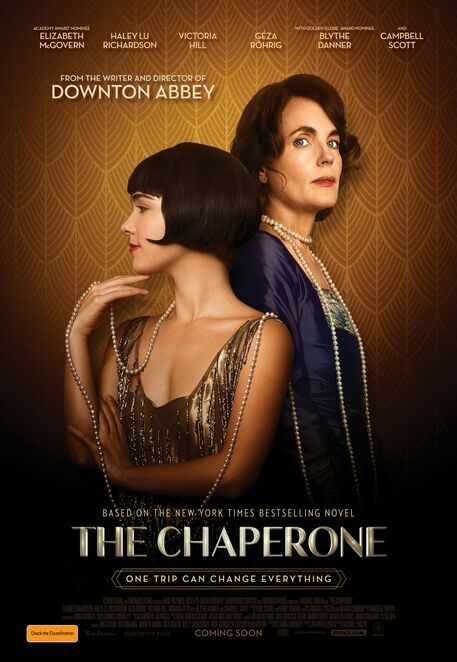 Thanks to our generous friends at STUDIOCANAL Australia, WeekendNotes has 25 in-season double passes to THE CHAPERONE, starring Elizabeth McGovern, to giveaway. THE CHAPERONE takes place amid the backdrop of the tumultuous times of the early 1920's. The life of a Kansas woman (Elizabeth McGovern, Downton Abbey) is forever changed when she chaperones a beautiful and talented 15-year-old dancer named Louise Brooks (Haley Lu Richardson, Law & Order) to New York for the summer. One of them is eager to fulfil her destiny of dance and movie stardom; the other hopes to unearth the mysteries of her past. To celebrate the release of THE CHAPERONE, in cinemas April 25, WeekendNotes subscribers have the chance to win an in-season double pass (5 winners will be selected in Melbourne, Adelaide, Sydney, Perth & Brisbane). To go into the draw, all you have to do is send an email titled 'THE CHAPERONE' to competitions@weekendnotes.com and let us know in 25 words or less why you want to see this anticipated comedy. Please make sure to include your full name and mailing address so we can send you your prize! 25 lucky winners will be drawn on April 23. For more information on THE CHAPERONE, check out the www.thechaperonemovie.com.au. THE CHAPERONE - In cinemas nationally April 25.